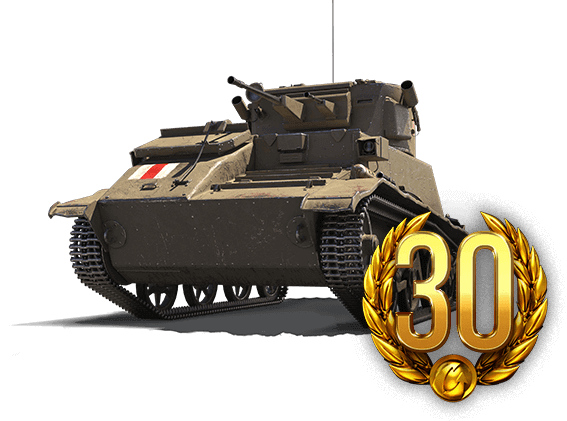 30 Days Premium Account, Free Tank & More! Looking to enter World of Tanks, but not sure where to start? How about right here with 30 Days of Premium Account time, the swift Light Mk. VIC Tier II light tank, 100% trained Crew, and a Garage Slot? Lets you progress faster in the game, providing +50% Credits, Combat XP, and Crew XP per battle. It is unified for World of Tanks, World of Warships, and World of Warplanes, meaning when you purchase it for one game, you automatically get it for the others. You get access to exclusive pre-sales, meaning you get the opportunity to purchase vehicles before players who do not have a Premium Account. Note: If you own the Light Mk. VIC already, you will not be reimbursed for the tank; you will, however, still get the free Garage Slot and 100% Crew (the latter goes to the Barracks)!